Below are all the recitals which have been registered as part of the RCO&apos;s 150 for 150 Anniversary Recital Challenge. There are now a total of 202 recitals registered! To view current recitals only click here. Click here to read more about the 150 for 150 challenge, including how you can take part. 16th January 2014 Portsmouth Cathedral, Hampshire 13:10 Anthony Gritten Programme to be announced. Anthony Gritten (Royal Academy of Music) performs as part of Portsmouth Cathedral's 'Lunchtime Live!' recital series in collaboration with the RCO. 21st January 2014 St David's Hall, Cardiff, South Glamorgan 13:00 Sarah Baldock MENDELSSOHN - Sonata in C minor( Op 65 No 2), J.S. BACH - Chorale Prelude 'An wasserflüssen Babylon', FRANCK - Prélude, Fugue and Variation, BUXTEHUDE - Praeludium in F sharp min, REGER - Benedictus, LISZT - Praeludium und Fuge über B-A-C-H. In association with Cardiff Organ Events. 30th January 2014 Portsmouth Cathedral, Hampshire 13:10 Dr David Price Programme to be announced. David Price (Organist & Master of the Choristers, Portsmouth Cathedral) performs as part of Portsmouth Cathedral's 'Lunchtime Live!' recital series in collaboration with the RCO. 13th February 2014 Portsmouth Cathedral, Hampshire 13:10 George Castle Programme to be annonced. George Castle (Winchester Cathedral) performs as part of Portsmouth Cathedral's 'Lunchtime Live!' recital series in collaboration with the RCO. 17th February 2014 Southwark Cathedral, London 11:00 James Kealey Programme to include music by J.S. BACH, LANGLAIS, LEIGHTON, HOWELLS and VIERNE. 27th February 2014 Portsmouth Cathedral, Hampshire 13:10 Laurence Long Programme to be announced. Laurence Long (Oundle Organ prizewinner) performs as part of Portsmouth Cathedral's 'Lunchtime Live!' recital series in collaboration with the RCO. 1st March 2014 St George, Hanover Square, London W1 (IAO London Organ Day), London 10:30 Anthony Daly Programme to be announced. 1st March 2014 St George's Parish Church, Belfast, Antrim 19:45 Emma Gibbins CALLAERTS - Toccata, VALENTE - Lo ballo dell’intorcia, CLERAMBAULT - Suite du deuxième ton, BUXTEHUDE - Prelude, Fugue & Chaconne, FARRINGTON - Song & Stride Dance (from ‘Fiesta’), FRANCK - Chorale no. 3 in A minor. 6th March 2014 Portsmouth Cathedral, Hampshire 13:10 Edward Hewes Programme to be announced. Edward Hewes (Royal Academy of Music) performs as part of Portsmouth Cathedral's 'Lunchtime Live!' recital series in collaboration with the RCO. 8th March 2014 Southwark Cathedral, London 14:00 Daniel Hyde RCO Conferment of Diplomas recital. 12th March 2014 Chippenham Parish Church (St Andrew), Wiltshire 19:30 David Dewar & John Isles Programme to include BUXTEHUDE - Prelude & Fugue in g (BuxWV149), J.S. BACH - 'Dorian' Toccata (BWV538), plus works by Stanley VANN, and Huw MORGAN. 15th March 2014 St George, Beckenham, Greater London 11:00 Nicholas Wibberley Programme to include music by BUXEHUDE, BACH, MENDELSSOHN and HOWELLS. 27th March 2014 Winchcombe Methodist Church, Gloucestershire 13:00 Fiona Brown Programme to include music by Francis JACKSON, BOHM, BUXTEHUDE, J.S.BACH Dorian Toccata & Fugue and KARG-ELERT. 27th March 2014 Portsmouth Cathedral, Hampshire 13:10 Ruth Stockdale (flute), Robert Smith (organ) Programme to be annonced. Part of Portsmouth Cathedral's 'Lunchtime Live!' recital series in collaboration with the RCO. 29th March 2014 St Agnes, Kennington Park, London 16:30 Robert Hainault; William Briant William Briant: works by J.S. BACH, DURUFLE, VIERNE, ELGAR and others. Robert Hainault: HAINAULT - Toccata Derivative no. 1 in E-flat minor - J.S. BACH - Fugue in G minor ('Little') (BWV 578), HAINAULT - Incongruity no. 4: Humber Estuary (a Wade in F), J.S. BACH - Ich ruf' zu Dir, Herr Jesu Christ, (BWV 639), BOELLMAN - Suite Gothique, HAINAULT - Improvisation on a theme chosen by the audience. Full details and ticket booking at http://stagnesrecital.eventbrite.co.uk. 30th March 2014 St Albans Cathedral, Hertfordshire 15:00 Tom Winpenny PEETERS - Toccata, Hymne & Fugue on Ave Maris Stella (op. 28), J.S. BACH - Vater unser im Himmelreich (BWV 682), de GRIGNY - Pange Lingua, FLORENTZ - Three movements from Laudes (op. 5), REGER - Ave Maria (op. 80 no. 5), JONGEN - Sonata Eroica (op. 94). Free admission. 3rd April 2014 Ripon Cathedral, North Yorkshire 13:15 Oliver Hancock J.S. BACH - Aus tiefer Not schrei ich zu dir (BWV 686), Erbarm dich mein, O Herr Gott (BWV 721) and Herzliebster Jesu, was hast du verbrochen (BWV 1093), HOWELLS - Psalm Prelude No.1 Set 2 'De profundis', J.S. BACH - Schmucke dich, O liebe Seele (BWV 654) and O Mensch, bewin dein Sunde gross (BWV 622), BEDARD - Variations sur ‘Picardy’. 5th April 2014 Reading School Chapel, Berkshire 14:30 Huw Jones, Paul Manley, Ben Morris Programme to be announced. Each player will give a recital of about 35 minutes, then we shall adjourn for refreshments and a few speeches. 9th April 2014 St George's Chapel, Windsor Castle, Berkshire 15:30 Thomas Trotter J. S. BACH - Toccata, Adagio & Fugue, HARRIS - Flourish for an Occasion, HURFORD - Suite 'Laudate Dominum', WIDOR - Toccata from Symphony no.5. 12th April 2014 Keble College, Oxford, Parks Road, OX1 3PG, Oxfordshire 13:45 Graham Barber This public recital (admission free, retiring collection) takes place as part of the RCO spring Festival in Oxford, during the one-day conference 'The College of Organists examined: the foundation and early history of the RCO' (full details at https://www.rco.org.uk/events.php?eventid=328; late bookings may still be accepted). Henry SMART - Con Moto Moderato (En Forme d’Ouverture), Edward John HOPKINS - Organ Music, No.1: Allegro moderato in A ('To the College of Organists'), Robert SCHUMANN/arr. John STAINER - Adagio espressivo, 'from the Symphony in C' (Symphony No. 2, Op. 61), Charles H. STEGGALL - Postlude ('Jerusalem, on high'), Sigfrid KARG-ELERT HonRCO - Homage to Handel (54 Studies in Variation Form, Op. 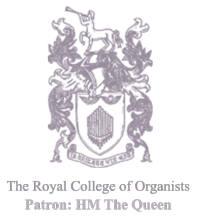 75 II) 'Dedicated to the Royal College of Organists with respect and gratitude'. 13th April 2014 Symphony Hall, Birmingham, West Midlands 14:00 David Goode Time of recital to be confirmed. 24th April 2014 St John's Anglican Church, Canberra, Australia, International 12:30 Gemma Dashwood, Nigel Poole, Sheila Thompson, Rosemary Shepherd The ACT (Canberra) branch of the RSCM holds monthly lunchtime organ recitals. Two branch committee members, Gemma Dashwood and Nigel Poole (CertRCO), are also RCO members, and have designated April's recital to be a joint RSCM and RCO150 event. Gemma and Nigel will present a joint program with Sheila Thompson (Musical Director of St John's, Canberra) and Rosemary Shepherd (flute). It will include antiphonal music for two organs, music for flute and organ, plus solo organ pieces. There will be at least one piece by CPE Bach, recognising that he is exactly twice as old as the RCO! Must do CPE300 in RCO150! The organ at St John's, Canberra, is a 2-manual tracker action instrument built in 1981 by Ron Sharp, also quite renowned as the builder of the Sydney Opera House organ. 25th April 2014 St George, Gateshead NE8 4AJ, Tyne and Wear 19:30 Roger Sayer Organ is a wonderful 1902 Willis (restored H & H). Programme: VIERNE - Allegro Risoluto from Symphony 2, ALAIN - Litanies, DURUFLE - Prelude and Fugue sur le nom d'Alain, J.S. BACH - Chorale prelude 'Allein Gott in der hoh' sei Ehr' (BWV 662), TOURNEMIRE - Chorale improvisation 'Victimae Paschali', IRELAND - Elegiac Romance, DUBOIS - Toccata, LISZT - Fantasia and fugue on BACH. 27th April 2014 St Edmund the King, Pinner Road, Northwood Hills HA6 1QS, Middlesex 15:30 Mark Hammond (organ and piano) Programme tba, but represents 15 decades of music for organ and piano, celebrating 150 years of the RCO. Tickets £6; further information from 01923 821869. 28th April 2014 Huddersfield Town Hall, West Yorkshire 13:00 Gordon Stewart Programme to be announced. 28th April 2014 Katholische Kirchengemeinde St. Matthias,Goltzstraße 29 (am Winterfeldtplatz), 10781 Berlin, Germany, International 20:00 Francis Rumsey Music by BUXTEHUDE, COUPERIN, J.S. BACH, MENDELSSOHN, ALAIN (Trois Pieces), GUILMANT. Exact time of recital tbc (see http://www.st-matthias-berlin.de/ or http://www.aes.org/events/136). Given as part of the Audio Engineering Society 136th Convention. Open to the public. Free admission. 29th April 2014 Ulster Hall, Antrim 13:00 Colm Carey Programme to be announced. 1st May 2014 All Saints, Northampton, Northamptonshire 13:10 Lee Dunleavy Programme includes: SELF - Jubilate, BRIGGS - Fugue Improvisée, PHILLIPS - Song of Peace, BATES - Digital Loom (for organ and electronica; European première), FOGGITT - Cáscara chaconne (world première), JACKSON - Fantasy: in unitate vis est. The last work is for two organists at two organs, and is subtitled with the motto of the RCO, and written in celebration of their 150th year. Admission FREE, with retiring collection. 1st May 2014 Whitefriar Street Church, Dublin, International 20:00 Siobhan Kilkelly The first of a series of four recitals in May, showcasing the splendid 3-manual Kenneth Jones instrument of 1982. All recitals are at 8pm and will include works by BACH, VIERNE, WIDOR, BOELLMAN and REGER. 2nd May 2014 Somerville College Chapel, Oxford, Oxfordshire 13:15 Nick Machin Works for organ and piano. Programme tba. 3rd May 2014 Shrine of our Lady of Lichen, POLAND, International 13:00 Micha&#322; Szostak certRCO (organ), Agnieszka Kledzik (soprano), Maja Wojnarowicz (mezzosoprano) Programme to include English organ and vocal music by: CLARKE, PURCELL, HANDEL, WESLEY, RUTTER and others. The instrument at Our Lady of Lichen is the largest in Poland, with 157 stops, 6 manuals and pedals. 5th May 2014 Leicester Cathedral, Leicestershire 11:30 Simon Headley, David Cowen, Christopher Johns & Guests Programme to be announced. A marathon recital lasting 150 minutes, featuring the three cathedral organists with other local players (additional performers to be advised). 5th May 2014 Holy Trinity Sloane Street, London 16:00 Oliver Lallemant, Mylene Shoreman, Jonathan Holl, Sarah Best DURUFLÉ - Sicilienne from Suite Op. 5, STANFORD - Fantasia & Toccata in D minor Op. 57, COUPERIN - Tierce en taille, YON - Toccatina for flutes, WIDOR - Finale from Symphony no. 2, J. S. BACH - Passacaglia, BWV 582, LANGLAIS - Chant de Paix, FRANCK - Final in B flat Op. 21. 8th May 2014 Princess Hall, Cheltenham Ladies' College, Gloucestershire 13:30 Organ students and teachers of Cheltenham Ladies' College Programme tba. 8th May 2014 Whitefriar Street Church, Dublin, International 20:00 Peter Thompson The second in a series of four recitals in May, showcasing the splendid 3-manual Kenneth Jones instrument of 1982. Recitals will include works by BACH, VIERNE, WIDOR, BOËLLMAN and REGER. 11th May 2014 Christ's Chapel, Dulwich, London SE21, London 19:45 Catherine Ennis Programme to be announced. 13th May 2014 Minster Church of St Andrew, Plymouth, Devon 13:00 Christine Lewis Recital is part of the Plymouth History Festival. Varied programme includes music by BACH, DUPUIS, SAINT- SAENS with different styles of 20th-century music. Organ is one of the best in the south west; a 4-manual Rushworth & Dreaper instrument renovated by Deane of Taunton. 15th May 2014 Whitefriar Street Church, Dublin, International 20:00 Malcolm Wisener The third in a series of four recitals in May, showcasing the splendid 3-manual Kenneth Jones instrument of 1982. Recitals will include works by BACH, VIERNE, WIDOR, BOËLLMAN and REGER. 18th May 2014 Haileybury Chapel, Haileybury, Hertfordshire 19:30 Peter Davis (Director of Music, Oakham School) MULET- Tu es Petra (Esquisses Byzantines), FRANCK - Cantabile and Piece Heroique (Trois Pieces), MOZART - Andante in F, WAMMES - Miroir, FRANCK - Choral No. 1 in E, BIZET - Fantasia on 'Carmen'. 19th May 2014 St Joseph, Glasthule, Dublin, International 19:30 Rónán Murray (organ), Davina Baker (violin), Lebanon Valley College Symphony Orchestra Please note change of date (from 13 June). Programme to include works by GERSHWIN and BERNSTEIN for violin/orchestra, plus organ music by COUPERIN, STANFORD and VIERNE. 22nd May 2014 Whitefriar Street Church, Dublin, International 20:00 David Connolly The fourth in a series of four recitals in May, showcasing the splendid 3-manual Kenneth Jones instrument of 1982. Recitals will include works by BACH, VIERNE, WIDOR, BOËLLMAN and REGER. 26th May 2014 Winchester Cathedral, Hampshire 16:00 Andrew Lumsden Programme to be announced. 31st May 2014 Lancaster Priory, Lancashire 16:00 Ian Pattinson (Organist of Lancaster Priory) Programme to include BACH - Passacaglia in C minor, CARTER - Fanfare & Processional, SELF - Variations on 'Victimae Paschali', MOZART - Fantasia in F minor K594, HAKIM - Mariales, MOZART arr. LLOYD WEBBER - Adagio from Clarinet Concerto, BOELLMAN - Toccata. 1st June 2014 Farnborough Abbey, Surrey 15:00 Philip Scriven J.S. BACH - Toccata and Fugue in D minor ('Dorian', BWV 538), Charles-Marie WIDOR - Andante Sostenuto (from Symphonie Gothique), Louis VIERNE -	Hymne au soleil (from Pièces de Fantaisie), César FRANCK - Choral No.2 in B minor, Maurice RAVEL (trans. Blitsch) - Petit Poucet (from Ma Mère l'Oye), Max REGER - Introduction and Passacaglia in D minor. 2nd June 2014 St Michael, Cornhill, London EC3, London 13:00 Catherine Ennis The first of five 'RCO Birthplace' recitals at St Michael, Cornhill on Mondays in June. Richard Limpus, who had the initial idea of setting up a 'College of Organists', was organist of this church. 3rd June 2014 Queen Street Parish Church, Aberdeen 12:50 Christopher Beaumont BUXTEHUDE - Passacaglia, J.S. BACH - Passacaglia & Fugue in c minor (BWV 582). 7th June 2014 Merton College Chapel, Oxford, Oxfordshire 16:00 Benjamin Nicholas One of the concerts in the series marking the opening of the new Dobson organ in Merton College Chapel. 7th June 2014 Hereford Cathedral, Herefordshire 18:30 Jonathan Allsopp A meditation on MESSIAEN - Messe de la Pentecôte on the eve of Pentecost, with incense and large-screen projection of Pentecost art and images. 7th June 2014 Canterbury Cathedral, Kent 19:30 Weston Jennings Programme to be announced. 8th June 2014 Chapel of Ipswich School (entrance on Henley Road), Suffolk 16:00 Andrew Cantrill and members of the organ recital class Recital by Andrew Cantrill and members of the organ recital class Open to all - admission free. The recital is preceded at 2.30pm by a masterclass by Andrew Cantrill for the players who will perform in the recital. Admission free. 8th June 2014 High Church, Hilton, Aberdeen, Aberdeen 19:00 Tim Lambourn Programme to include music by J.S. BACH, BOËLLMANN and VIERNE. 9th June 2014 St Michael, Cornhill, London EC3, London 13:00 Sarah Baldock The second of five 'RCO Birthplace' recitals at St Michael, Cornhill on Mondays in June. Richard Limpus, who had the initial idea of setting up a 'College of Organists', was organist of this church. 11th June 2014 St Martin, Caerphilly, Gwent 13:00 Michael Charnell-White Music by JS Bach, Franck, Mathias, Mendelssohn, Messiaen, Pachelbel and Stanley. Admission £3 at the door. 14th June 2014 Dorking Parish Church, Surrey 19:00 Martin Ellis Programme to be announced. 15th June 2014 St Mary the Virgin, Orchardleigh, Somerset 18:00 David King Choral Evensong followed by a short organ recital. Music by BACH, HOWELLS and other composers on the hand-pumped 4-stop Hill organ of 1880. St Mary's Church sits on an island in the middle of the Orchardleigh Estate, the poet Henry Newbolt is buried in the churchyard (postcode for satnavs BA11 2PH). 16th June 2014 St Michael, Cornhill, London EC3, London 13:00 Robert Quinney The third of five 'RCO Birthplace' recitals at St Michael, Cornhill on Mondays in June. Richard Limpus, who had the initial idea of setting up a 'College of Organists', was organist of this church. 21st June 2014 Brighthelm Church, Brighton, East Sussex 14:00 Ron Bayfield (organ), Daphne Elston (soprano) Programme includes VANDERTUIN - Variations on 'Aurelia' (first UK performance), PEETERS - Speculum Vitae. Recital marks the centenary of the Brighton.& District Organists' Association of which Bayfield is the current President. 21st June 2014 St Mary, Heacham, Norfolk 19:30 Trevor Hughes Programme to be announced (please note change of date: recital was originally 14 June). 22nd June 2014 Haileybury Chapel, Hertford, Hertfordshire 17:30 Derek Longman Programme tba. 23rd June 2014 St Michael, Cornhill, London EC3, London 13:00 Francesca Massey The fourth of five 'RCO Birthplace' recitals at St Michael, Cornhill on Mondays in June. Richard Limpus, who had the initial idea of setting up a 'College of Organists', was organist of this church. 28th June 2014 Tabernacl Chapel, The Hayes, Cardiff, South Wales, South Glamorgan 12:30 Terence Gilmore-James Programme to be announced. 28th June 2014 St Peter, Cranbourne, Berkshire 19:30 Jonathan Holl BALBASTRE – Cannonade, DANDRIEU – Duo, Tierce en taille, BACH – Passacaglia (BWV 582), ALLCOAT – Musette, MENDELSSOHN -- Sonata III, DARKE – Meditation on Brother James’s Air, KERLL – Capriccio ‘Cucu’, VIERNE – Final (Symphony I). 28th June 2014 St Thomas, Pennington Road, Southborough, Tunbridge Wells, Kent 19:30 Roger Evernden and Wilmarc Ellman (organ), Louis Nel (recorder) 'Pipes Large and Small': including REUBKE - Sonata on the 94th Psalm; J. S. BACH - Prelude and Fugue in D major; Music by TELEMANN for recorder and organ. 29th June 2014 Tonbridge School Chapel, Kent 20:15 Pupils and Staff of Tonbridge School A varied programme of organ music on the school's fabulous 4-manual Marcussen organ. (There will be a video screen of the console to watch the players.) Programme to be advised. 30th June 2014 St Michael, Cornhill, London EC3, London 13:00 John Scott The last of five 'RCO Birthplace' recitals at St Michael, Cornhill on Mondays in June. Richard Limpus, who had the initial idea of setting up a 'College of Organists', was organist of the this church. 30th June 2014 Radley College Chapel, Oxfordshire 18:00 Radley College pupils, aged 14-17 Programme tba. 1st July 2014 St Leonard, Oak Walk, Hythe CT21 5DN, Kent 12:00 Janet Hughes Programme to include music by J.S. BACH, MENDELSSOHN, FRANCK, WAGNER, BRIDGE, DUPRÉ and FARRINGTON. 2nd July 2014 Derby Cathedral, Derbyshire 19:45 Nigel Ogden Programme to be announced. 2nd July 2014 Chapel of The Royal Masonic School, Hertfordshire 20:00 Shanna Hart (student organist) and other students from the Royal Masonic School Programme to include music by J. S. BACH and HANDEL. 5th July 2014 St Wulfram's Church, Grantham, Lincolnshire 11:30 Dr Tim Williams Programme to include: J.S. BACH - Prelude and Fugue in B minor, BWV 544, LEIGHTON -Chorale Prelude on Rockingham, and Paean, WIDOR - Symphonie Romane, Op.73 (first movement), FRANCK - Choral no, 3 in A minor, MENDELSSOHN - Sonata no. 4 in B flat, Op. 65 (first movement). 5th July 2014 Inverleith St Serf, Edinburgh, Edinburgh 19:30 John Robinson (Director of Music, St Paul, Harvard Square, Boston USA) Inaugural recital to mark the renovation, by Principal Pipe Organs, of the 1931 Rushworth & Dreaper organ at Inverleith St Serf. Programme to include J.S. BACH - Prelude and Fugue in G Major (BWV 541), FRANCK - Chorale in B Minor, WILLAN - Fugue in E flat min, VIERNE - Toccata (Pièces de Fantasie), IRELAND - Cappricio. 8th July 2014 St Peter, Petersfield, Hampshire 13:00 Mark Dancer Programme includes music by BÖHM, BOVET - Tangos Ecclesiasticos, FRANCK - Choral No 1, HAKIM - Variations on Two Themes. 9th July 2014 Derby Cathedral, Derbyshire 19:45 Roy Massey Programme to be announced. 11th July 2014 Bradford Cathedral, West Yorkshire 19:00 Alexander Woodrow, Paul Bowen, Jonathan Eyre, Thomas Moore 'Battle of the Organs': a light-hearted and sparkling Gala Opening event as part of the Cathedral Music Weekend (11-13th July), featuring the three Cathedral organists and a trio of guests with strong connections to the Cathedral. Programme (tbc) will showcase the 4-manual Hill Norman & Beard Cathedral Organ, plus a digital 3-manual Viscount instrument. Admission £10 to include wine and nibbles. 13th July 2014 Christ's Chapel, Dulwich, London 19:45 Marilyn Harper A programme of personal favourites including music by J.S. BACH and local celebrities. 16th July 2014 Derby Cathedral, Derbyshire 19:45 Robert Quinney Programme to be announced. 18th July 2014 St Swithun, Worcester, Worcestershire 13:10 Andrew McCrea Programme includes music from the RCO Manuscript (John JAMES, John STANLEY, Peter PRELLEUR, Starling GOODWIN and others) and pieces performed on the RCO EEOP Wetheringsett organ. 18th July 2014 Peterborough Cathedral, Cambridgeshire 19:00 Henry Fairs Recital (part of the Oundle International Festival) follows evensong sung by King's College Choir, London (dir. David Trendell). Programme includes works by some of the giants of the 19th and 20th centuries, alongside a W.T. BEST arrangement of BACH's Toccata in F BWV 540 and Graham FITKIN’s lively work, Wedding. 19th July 2014 St Michael and All Angels Parish Church, Tenbury, Worcestershire 11:00 Members of Herefordshire Organists Society Members will be invited to submit a party piece of not more than 5 minutes duration. We hope to attract up to 15 members of all ages and skill level, from which we can make up an interesting programme covering a good range of styles of music and period. The concert will be organised in the manner of the 'student concerts' at the annual RCO Summer School. We anticipate knowing the programme next spring. 22nd July 2014 Westminster Abbey, London 19:00 James O'Donnell Date to be confirmed; programme to be announced. 22nd July 2014 Hereford Cathedral, Herefordshire 19:15 Peter Dyke Programme includes music by composers associated with Hereford, and the world premiere of a piece by David Briggs in honour of Dr Roy Massey's 80th birthday this year. SINCLAIR - Festal March in B flat, FELTON - A tempo ordinario/Allegro (Concerto No 5 in E flat), WESLEY - Choral Song and Fugue, ELGAR arr. Dyke - Variations on an Original Theme ('Enigma') Op. 36, BRIGGS - Variation 15 (RCM). Tickets £8 (£3 students) on the door. 23rd July 2014 Derby Cathedral, Derbyshire 19:45 Simon Hogan Programme to be announced. 24th July 2014 St Mary, Stoughton, West Sussex 12:15 Gillian Yeatman Admission by invitation only. Music by J. S. BACH, THALBEN-BALL, BARBER, BUXTEHUDE and VIERNE. 25th July 2014 Romsey Abbey, Hampshire 19:30 David Goode Programme to include music by BACH, REGER, PARRY and MESSIAEN. 26th July 2014 St Paul, Deptford, London SE8 3DP, Greater London 12:00 Sue Heath-Downey Programme of French Baroque and contemporary music, including works by COUPERIN, CLERAMBAULT, LANGLAIS and HAKIM. Organ 3-manual William Drake (2004) with Hamburg tuning. 30th July 2014 Collegiate Church of the Holy Trinity, Stratford-upon-Avon, Warwickshire 13:00 James Fellows HANDEL - Overture to the Occasional Oratorio (arr. Coleman), J. S. BACH - Ich ruf zu dir (BWV 639), HINDEMITH - 'Ruhig bewegt' from Sonata 1, BOËLLMANN - Suite Gothique. 30th July 2014 Trinity College Chapel, Cambridge, Cambridgeshire 13:10 Henry Fairs C. P. E. BACH - Fantasia and Fugue in C minor, J. S. BACH - Sonata no 5, C. P. E. BACH - Sonata in F, J. S. BACH - Passacaglia and Fugue in C minor. 30th July 2014 Derby Cathedral, Derbyshire 19:45 Peter Gould, Tom Corfield, Chris Johns, Sachin Gunga & Ben Bloor Programme to be announced. 31st July 2014 Ely Cathedral, Cambridgeshire 19:30 Daniel Moult J. S. BACH - Toccata, Adagio and Fugue in C, SAINT-SAËNS - Benédiction nuptiale, REUBKE - Sonata on the 94th Psalm, MESSIAEN - Institution de l’Euchariste, DUPRÉ - Prelude and Fugue in B. 1st August 2014 Pembroke College Chapel, Cambridge, Cambridgeshire 13:10 Anne Page SCHEIDEMANN - Magnificat on the 5th tone, BULL - Salve regina, PURCELL - Voluntary for Double Organ in D minor, HANDEL arr Walsh - Concerto on G/g op. 4 no 1, J. S. BACH - Prelude and Fugue in G.
2nd August 2014 Chapel of St John's College, Cambridge, Cambridgeshire 19:30 Students from the RCO TOSE course Composite recital with varied programme. 6th August 2014 Derby Cathedral, Derbyshire 19:45 John Scott Programme to be announced. 9th August 2014 Romsey Abbey, Hampshire 19:30 Members of Winchester and District Association of Organists Music for organ and piano; programme to include works by J. S. BACH, HOWELLS, LISZT and DEMAREST. 13th August 2014 Derby Cathedral, Derbyshire 19:45 John Hosking Programme to be announced. 16th August 2014 Liverpool Cathedral, Merseyside 16:00 Andrew Cantrill Programme to be announced. 19th August 2014 St Chad, Shrewsbury, Shropshire 12:40 John Godwin Organ newly and beautifully restored by Harrison & Harrison. Programme to include BACH, WIDOR, VIERNE and at least one 21st-century composition. 20th August 2014 Preston Minster, Lancashire 13:00 David Scott-Thomas J. S. BACH - Prelude & Fugue in E flat 'St Anne', GUILMANT - Sonata No. 1 in D minor. Admission free with retiring collection. 20th August 2014 Derby Cathedral, Derbyshire 19:45 Tom Corfield Programme to be announced. 21st August 2014 St Botolph's Church (The Stump), Boston, Lincolnshire 12:30 Marc Murray J. S. BACH - Sinfonia to Cantata 29, OLEY - Chorale Preludes, GUILMANT - Sonata No 1 in d minor. 24th August 2014 St Nicholas, Blakeney, Norfolk 15:00 David Bryson, organ, with piano and violin Programme includes works for organ by BACH, BUXTEHUDE, ELGAR, LANG and GUILMANT, plus works for piano and violin by ELGAR, DUSSEK, GRAINGER, VIVALDI and SCHUMANN. Post-concert refreshments. David is 11 and has been a student member of the RCO since he was six. 25th August 2014 Oakham Parish Church, Rutland 11:15 Robert Gower CAMPBELL – Pageantry, DARKE – A Fantasy (Op 39), BEDNALL – Toccata on ‘Aberystwyth’, IRELAND – Meditation on John Keble’s Rogationtide Hymn, JACKSON – Meditation on ‘Love Unknown’, MOORE – Paean, POPPLEWELL – ‘The time of the singing . . .’, OWENS – Toccata on ‘Good King Wenceslas’, PIERPONT (arr. Hawkins) – Jingle Bells, TAMBLING – Trumpet Variations, Kenneth LARK (aka Percy Whitlock) – Polka from the Spade and Bucket Ballet, WHITLOCK (arr. Gower) – March for ‘The Phoebe’. 27th August 2014 Derby Cathedral, Derbyshire 19:45 Peter Gould Programme to be announced. 30th August 2014 St John the Baptist, Barnet, Greater London 11:00 Damon Ying Provisional programme: BACH - Fugue in G minor BWV 578, VIERNE - Allegretto Op. 1, GLASS - Satyagraha Act 3 Conclusion, BACH - Trio Sonata No. 2 BWV 526, BOËLLMANN - Toccata from Suite Gothique Op. 25, FRANCK - Pièce Heroique. 30th August 2014 Belchamp Hall, Belchamp Walter, Sudbury, CO10 7AT, Suffolk 15:00 The Kingfisher Quartet; Hannah Fraser, recorders; Andrew Cantrill, organ; Oliver Raymond, treble Music by J.S. BACH and HANDEL including BACH - Concerto for 2 Violins (BWV 1043), HANDEL - Arrival of the Queen of Sheba and Organ Concerto in F (HWV 295), featuring the historic Belchamp Hall Handel organ. 50 tickets at £25 each available, to include a tour of the house at 3.00pm (built in 1720, and made famous by the BBC TV series 'Lovejoy'), tea and concert at 4.00pm. To reserve tickets email RCOBelchamp@gmail.com. 7th September 2014 Holy Trinity, Gosport, Hampshire 15:30 Geoffrey Holroyde Recital on the recently restored Jordan (1720) - Hill (1897) 3-manual and pedal 36-stop organ in Holy Trinity Church, Gosport, Hants. Programme to include HANDEL - Organ Concerto No.4 in F and Suite No.5 Variations on ‘The harmonious blacksmith’ (played on the 8 Jordan ranks which survive from the organ built for the Duke of Chandos whilst Handel was his Composer in Residence), BACH - Prelude and Fugue in B Minor ( BWV 544), REGER - Toccata and Fugue in D Minor (from Op. 59) plus shorter pieces by PARRY and STANFORD. Entry is free; a collection will be taken for the RCO Anniversary Appeal. 13th September 2014 St Matthew, Croydon, Greater London 16:00 Michael Strange Programme includes music by J. S. BACH, HAYDN, WESLEY. Organ by N.P. Mander (1972). 13th September 2014 St Mary the Virgin, Hayes., Middlesex 16:00 Graham Davies Programme to include music by BUXTEHUDE, J.S. BACH and COUPERIN. 13th September 2014 All Saints, Cheltenham, Gloucestershire 19:30 Cameron Luke, Fiona Brown, Carleton Etherington, Anthony Hammond Programme tba. 13th September 2014 Inverleith St Serf, Edinburgh, Edinburgh 19:30 Nicky Fraser A three-fold celebration for the RCO anniversary; the renovation of Inverleith St Serf's Rushworth & Dreaper organ; and Nicky's ARCO success. Programme to include J.S. BACH - b minor Prelude and Fugue (BWV 544), HOWELLS - Six Short Pieces (a selection from), GUILMANT - Lamentation (Op. 45), and Scherzo Symphonique. 14th September 2014 Wroughton Parish Church, Wiltshire 15:00 John Henderson & Tim Eyles To include music by BATISE, BEDARD, J. S. BACH and duets. 14th September 2014 Stowe School Chapel, Buckinghamshire 20:00 Staff and students from Stowe School Programme includes music by J.S. BACH, HAKIM, DUPRE, HINDEMITH, and MESSIAEN. 23rd September 2014 St Margaret, Angmering, West Sussex 19:00 Geoffrey Morgan Includes music by BACH, HANDEL, HOLLINS, WHITLOCK and GRAINGER. Concert celebrates the refurbishment of this delightful pipe organ, with something to suit all tastes. 24th September 2014 St Chad's Metropolitan Cathedral, Birmingham, West Midlands 13:15 Ben Comeau J. S. BACH - Fantasia and Fugue in G minor (BWV 542) and Two Chorale Preludes from Das Orgelbuchlein: Ich ruf zu dir (BWV 639) & In Dulci Jubilo (BWV 608), Improvisation (Scherzo), WIDOR - Andante Sostenuto (from Symphonie Gothique, op. 70), DEBUSSY arr. Comeau - Fêtes (no. 2 from Trois Nocturnes). 24th September 2014 Gresham's School Chapel, Norfolk 20:00 Lawrence Tao, Mark Jones, Nathan Waring, George Jefford, Sam Aldersey-Williams A varied programme of organ music played by staff and pupils of Gresham's School, to include DURUFLÉ - Prelude et Fugue sur le nom d'Alain. 25th September 2014 St John the Baptist, High Street, Windsor, Berkshire 13:00 Nathaniel Keiller Programme to include music by . S. BACH, ALAIN, MATHIAS, SAINT-SAËNS and VIERNE. Free Admission with voluntary retiring collection. 26th September 2014 St John's College Chapel, Cambridge, Cambridgeshire 13:15 Joel Branston (age 11), David Bryson (age 11), Blake Chen (age 10) Three pupils at St John's College School and choristers in the St John's College Choir will perform a varied programme on the Mander organ in St John's College Chapel, Cambridge. 27th September 2014 St Andrew, West Tarring, West Sussex 18:30 Malcolm Munro Recital now starts at 18:30. Programme to include music by J. S. BACH, MESSIAEN and LANGLAIS. 28th September 2014 Auferstehungskirche, Leipzig, Germany, International 17:00 Richard Gowers Recital given on the restored 1766 Schweinefleisch organ, the oldest organ in the city. Programme to include a mixture of Leipzig composers (J. S. BACH, MENDELSSOHN) and English composers (GIBBONS, TOMKINS). 30th September 2014 St Lawrence Jewry, London 13:00 Catherine Ennis Programme to be announced. 2nd October 2014 Metropolitan United Church, Toronto, Canada, International 12:15 Ashley Tidy LLOYD WEBBER - Solemn Procession, KETÈLBEY - In a Monastery Garden, SCOTSON CLARK - Marche aux Flambeaux, SAMUEL WESLEY - Gavotte (No. 9 from Twelve Short Pieces), ELGAR - Pomp and Circumstance Military March, No. 4. 4th October 2014 All Saints, Maldon, Essex 14:30 Gillian Ward Russell and friends A programme of music for organ and flutes: J. S. BACH – Sonata in E flat (BWV 1031) for Flute and Keyboard, S. WESLEY – Duet for Organ, QUANTZ – Trio Sonata in C, LEIGHTON – Martyrs, BERWALD – A Rustic Wedding, WILLIAM WILLIAMS – Sonata in Imitation of Birds, SAINT-SAËNS (arr. Hielscher) – Bacchanale (from Samson and Delila). 11th October 2014 The Swiss Church, London, London 17:00 James McVinnie Free concert as part of the Swiss Church Celebrity Organ Recital Series. 11th October 2014 St John the Baptist, Old Malden., Surrey 20:00 Barry Eaton Programme includes music by several composers active in1864: HANDEL - Fugue in E major, OUSELEY - Three Andantes for organ, HILES - Festival March, HOPKINS - Sonata in A major, S. S. WESLEY - Choral Song and Fugue, SMART - Postlude in D.
12th October 2014 Albert Hall, North Circus Street, Nottingham, NG1 5AA, Nottinghamshire 14:45 Lionel Rogg Hon FRCO There will be a pre-concert talk with Lionel Rogg at 14:15. Programme comprises ROGG - La Cité celeste, J.S. BACH - Prelude in E flat (BWV 552), Aria and Variations 1-15 from the Goldberg Variations, (interval) Variations 16-30 and Aria, Fugue in E flat (BWV 552), ROGG - Bolero. 12th October 2014 St Peter, Petersham, Surrey 17:00 Christine Wells Programme to include music by J.S. BACH, MENDELSSOHN and JONGEN. 13th October 2014 Peterhouse Chapel, Cambridge, Cambridgeshire 13:30 Gabriel Chiu and Claudia Grinnell Programme to include music by J. S. BACH, Leo SOWERBY and Giovanni GABRIELI. 16th October 2014 Goring United Reformed Church, West Sussex 13:00 Geoffrey Redman 40-minute programme to include music by BUXTEHUDE, REGER and LAUVIK. 17th October 2014 Edington Priory Church, Wiltshire 19:30 Benjamin Nicholas WALTON - Suite from Henry V, J. S. BACH - Passacaglia & Fugue, SWEELINCK - Est-ce Mars?, RHEINBERGER - Sonata No 8, JACKSON - Scherzetto Pastorale, EDMUNDSON - Von Himmel Hoch. 22nd October 2014 Ashton Hall, Lancaster, Lancashire 12:30 Alan Saggerson Programme to include music by Flor PEETERS, J.S. BACH, PURCELL, FRANCK, IRELAND & Arthur MEALE. Norman & Beard Organ (1909) 4 manuals; restored Gillow English Oak case; currently nearing completion of major refurbishment under the auspices of the Ashton Hall Organ Restoration Project in association with Lancaster City Council. 24th October 2014 Macduff Parish Church, Banffshire 19:30 Musicians from Macduff Parish Church ('Organ and Friends') Programme to include music by J.S. BACH, HOLLINS, GIGOUT and WIDOR. 26th October 2014 St Mildred, Canterbury, Kent 00:00 Arthur Wallis Programme to include music by PURCELL, CROFT, ARNE, HANDEL, PARRY and STANFORD. 28th October 2014 St George, Hanover Square, London W1, London 13:10 Rachel Ames, Mathew Hampton, Simon Williams Music by John CHEETHAM, FRANCK, Bryan KELLY, Leopold MOZART. 1st November 2014 All Saints, St Andrews, Fife 12:30 Andrew Macintosh MATHIAS - Toccata Giocosa, HOWELLS - Psalm-Prelude Set 1, number 2, HURFORD - Two chorale preludes, DARKE - Rhapsody, DYSON - Variation on ‘By the waters of Babylon’, J. S. BACH - An wasserflüssen Babylon BWV653, MOORE - Paean. 15th November 2014 Norwich Cathedral, Norfolk 11:00 Ashley Grote Programme to be announced. 15th November 2014 Chingford Parish Church, London 16:00 John Rippin ELGAR - Pomp and Circumstance March no.5 in C (arr. J. Rippin), HANDEL - Fugue in E major, J.S. BACH - Two chorale preludes from 'The Eighteen' (Von Gott will ich nicht lassen BWV 658 & Herr Jesu Christ, dich zu uns wend BWV 655), FRANCK - Choral no.2 in B minor (1890), JONGEN - Menuet-scherzo (op.53 no.2), W. LLOYD WEBBER - Benedictus (1960), BOURGEOIS - Serenade (op.22), GUILMANT - Finale – Allegro assai (from Sonata no.1 in D minor op.42). 19th November 2014 Brentwood Cathedral, Essex 13:00 Stephen King LANG - Introduction and Passacaglia, WOLSTENHOLME - Allegretto scherzando, JACKSON – Sonata Giocosa per la renascita di una Cattedrale, J. S. BACH ¬– Chorale Prelude ‘Herr Jesu Christ, dich zu uns wend’ (from the 18), BRAHMS – Fugue in A flat minor, EBEN – A Festive Voluntary. 30th November 2014 Norwegian Seaman's Church, Albir, Alicante, Spain, International 11:00 Elaine Mitchell A brief 15-minute recital following the regular Sunday service (approx. 09:45-11:00). Programme includes BACH - Prelude & Fugue BWV 556, Prelude & Fugue BWV 558 and HAYDN - Sonata No. 9 Hob XV1/41, plus hymn-tunes Blaenwern and Luckington. 30th November 2014 Oundle School Chapel, Northamptonshire 19:00 James Parsons Organ music for Advent Sunday, including works by BACH, MENDELSSOHN, DUPRÉ, MESSIAEN and MATHIAS. Celebrating thirty years of Oundle's Frobenius organ. 3rd December 2014 Opperman Music Hall, Florida State University, International 20:00 Organ students of Dr Iain Quinn FRCO Programme to be advised. 6th December 2014 St Gregory's Church, Seaton, Devon 14:00 Gabrielle Lewis & David Dickinson A programme of seasonal organ music (provisional): J. S. BACH - Toccata & Fugue in D minor, PACHELBEL & REGER - Wie schön leuchtet der Morgenstern, J. S. BACH & BUXTEHUDE - Nun komm, der Heiden Heiland, BUXTEHUDE - Puer natus in Bethlehem, PARRY - Tranquilly, Julius KATTERFELD - O du fröhliche, Louis DITÉ - Stille Nacht, heilige Nacht, BRAHMS - Es ist ein Ros entsprungen, PEETERS - Of the Father’s love begotten, Wilbur HELD - O little town of Bethlehem & God rest you merry, gentlemen, J. S. BACH - In dulci jubilo & In Dir ist Freude, EDMUNSEN - Von Himmel hoch. Possible contributions from additional performers. 10th December 2014 Royal Festival Hall, London, London 19:30 Martin Baker A special anniversary recital featuring Martin Baker, Master of Music at Westminster Cathedral, playing the Royal Festival Hall’s recently restored Harrison & Harrison organ. Drawing our year-long 150 for 150 Recital Challenge to a spectacular close, the recital will feature repertoire by composers connected to the College, as well as a new Simon Holt work co-commissioned by the RCO and Southbank Centre. 19th December 2014 Chiesa Nazionale di S.Stefano dei Cavalieri, Pisa, International 21:00 Riccardo Gnudi Recital to mark the 100th Anniversary of the rebuilding by Tamburini of the Grand Organ. Programme will feature music from the inaugural concerts given by Marco Enrico Bossi on 18 & 19 December 1914.